I think all of my MGs have been older kits; since I was never a huge fan of the 2000s era shows, I never bought kits for them. 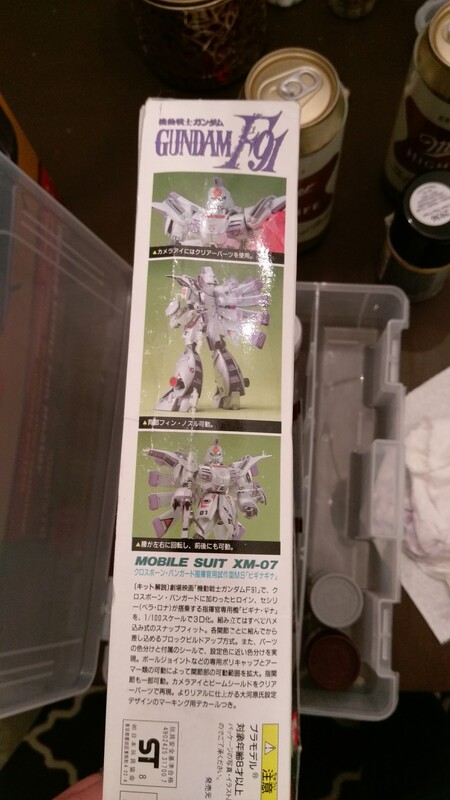 While I like Unicorn, The Origin and what little I've seen of Thunderbolt, I don't have any of those kits. Maybe I will see if I can get one or two of those on a shopping list, too. Or I guess it's time to go all-in on a Real Grade kit. Going by my last build of the MG V2 Gundam, which what i know know and heard of first hand, anything with moving parts is sure to not be that stable compared to something that doesn't transform. I love the V2 as I have always wanted a MG V2 kit, but if you look at it the wrong way 10 peices just fall off and take me about an hour to situate them back in place without messing something else up. I feel like just super gluing some joints in place since I don't really care about transforming the damn thing. Thanks to the really cold temperatures, I've been on a building spree lately. Figured since my last post here was my 1/144 HGUC V2, here are some completed (top-coat applied) shots I took recently. Since moving and re-decorating and setting up, I haven't unpacked my models and set them up for display yet. 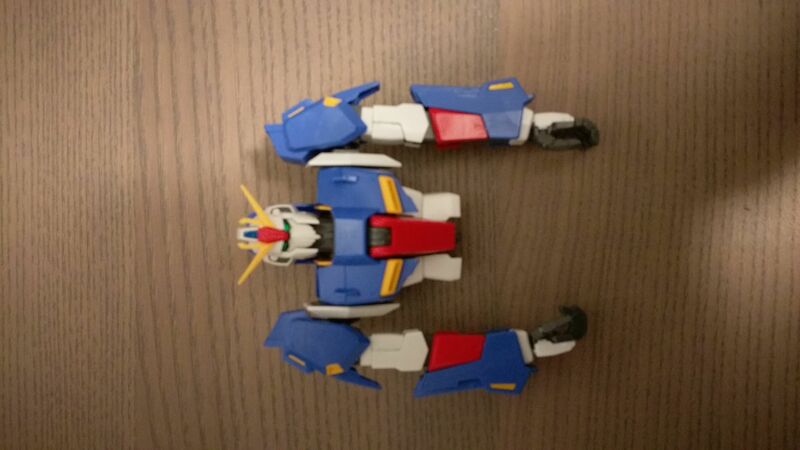 I've also started working on my 1/100 Master Grade Zeta Gundam (Version 2). Like the V2, I'm just going to use the natural colors with this one and finish with top coat after decals and panel markings. 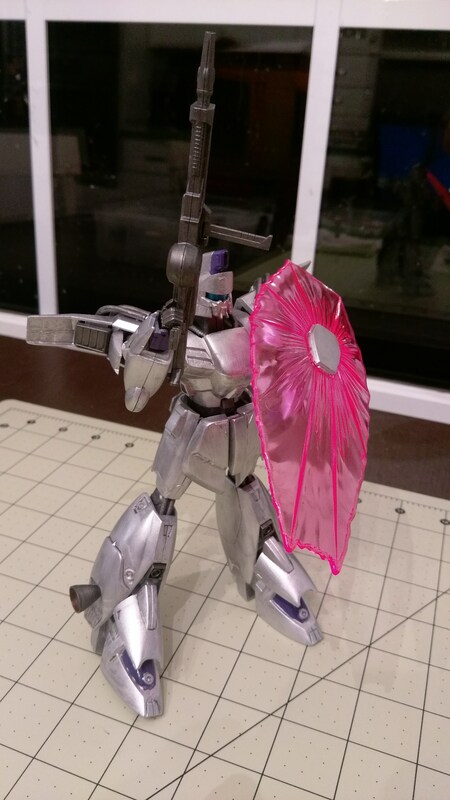 But the real reason I came out hunting for this thread is this kit I dug out of the closet: A 1/100 XM-07 Vigna Ghina from Gundam F-91. 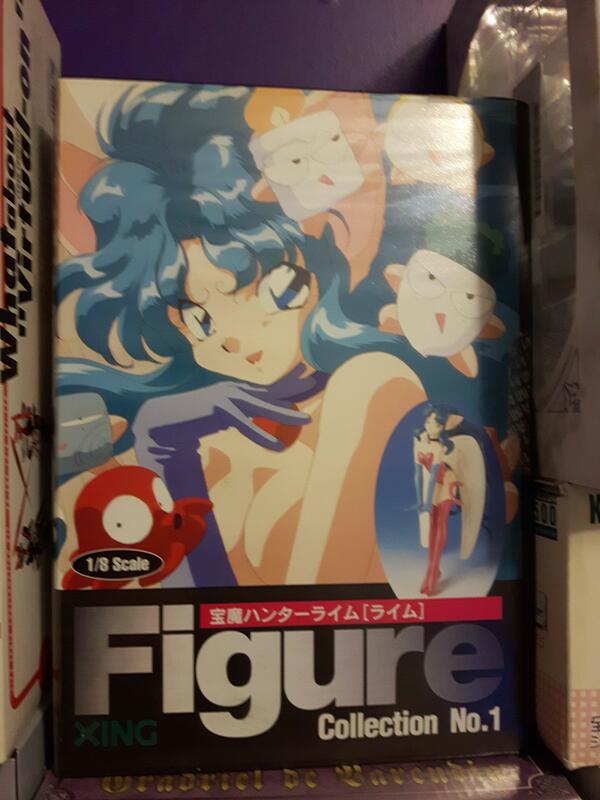 The copyright date on the packaging says 1990, so this is one of those older kits I've talked about before with really iffy plastic quality and before BanDai started with their kit grading system we're familiar with. The posts for the snap system are showing through the face of the plastic. 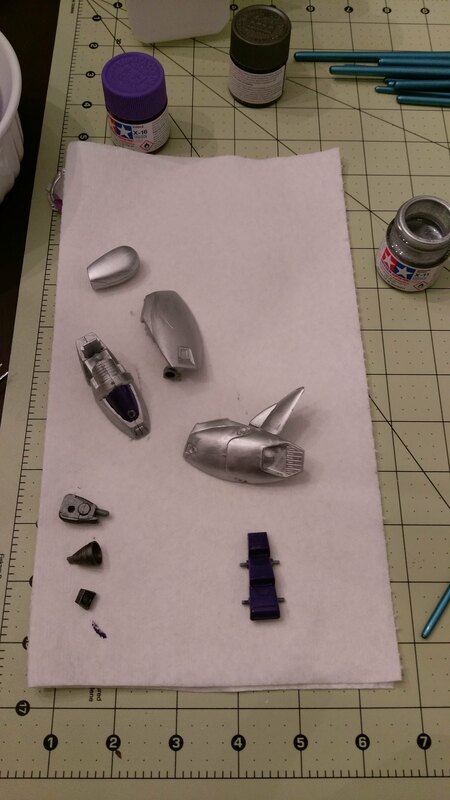 What's also different from this kit is that there are only two colors of plastic - that silver color for most of the kit and a darker grey color. The purple and yellow on the kit are applied via stickers though there are paint instructions. Given the overall assessment of the quality and that I put more cash into it than I should have (when I bought it some ten years ago), I'm not sure this kit will last a long while. 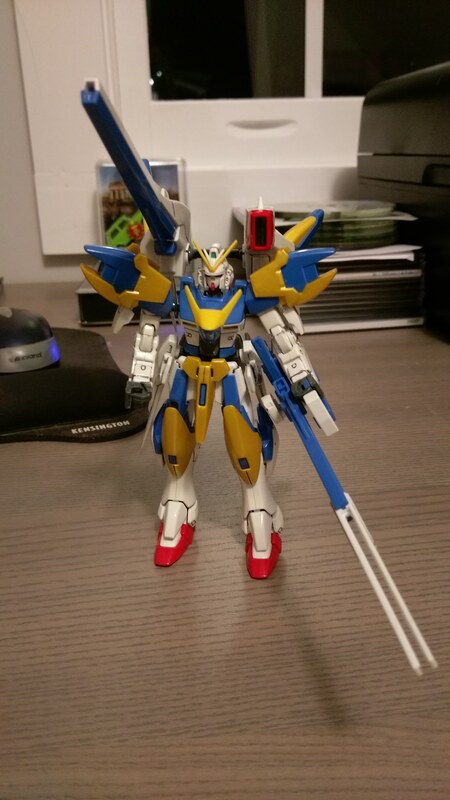 I first tried a straight build but the age of the stickers, they weren't adhering well and staying in place. So this is a good paint practice kit, now! I've gone against the grain a bit by not priming anything in this kit and instead working with some complimentary colored paint to match what the kit calls for. 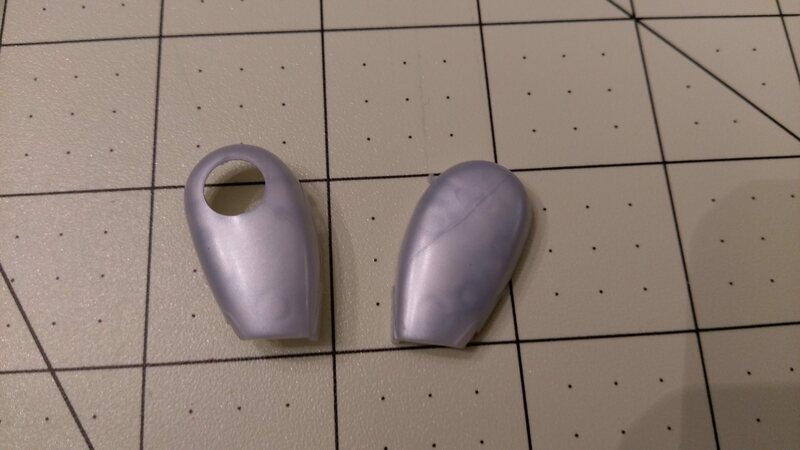 The painting guide also prescribes mixing the purple and silver with white for a tint of those colors but I've went with the straight hue instead. Other than a few painting mistakes, I'm pretty please with how it's coming along so far. Painting and assembly is done, hope after work tomorrow I'll be able to get the decals applied and sprayed down with top coat so I can stick a fork in this and move on with the rest of my backlog. 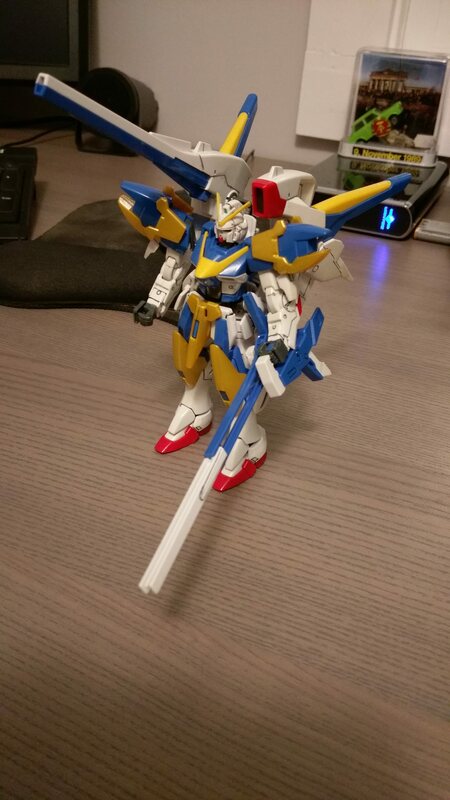 Using pretty much free weekends with bad weather, it took me close to a year to finally finish my MG Zeta Gundam. Transforming kits are a beast, so I ended up taking some breaks with it, too by working on a non-anime kit as well (and planning out making a diorama with it). Whole body assembled now, only about halfway through the instruction booklet. Adding panel details because I only had a few minutes here and there. 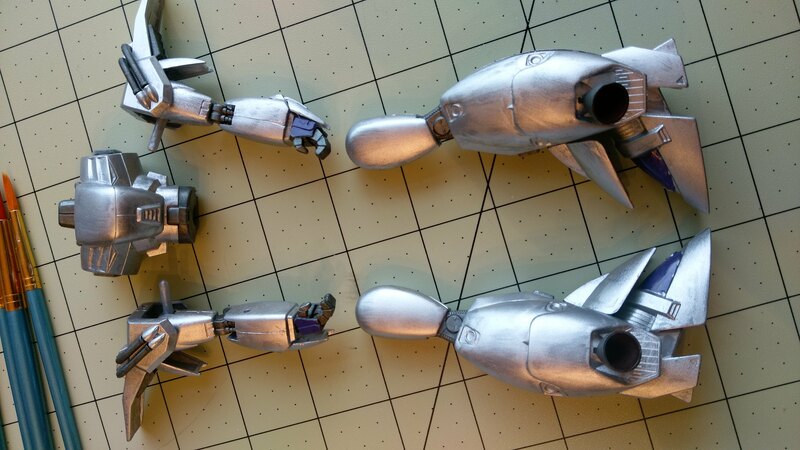 Finished extra pieces, sprayed with top coat and set up for display. I'm guessing that's the MG 2.0 of the Zeta Gundam? 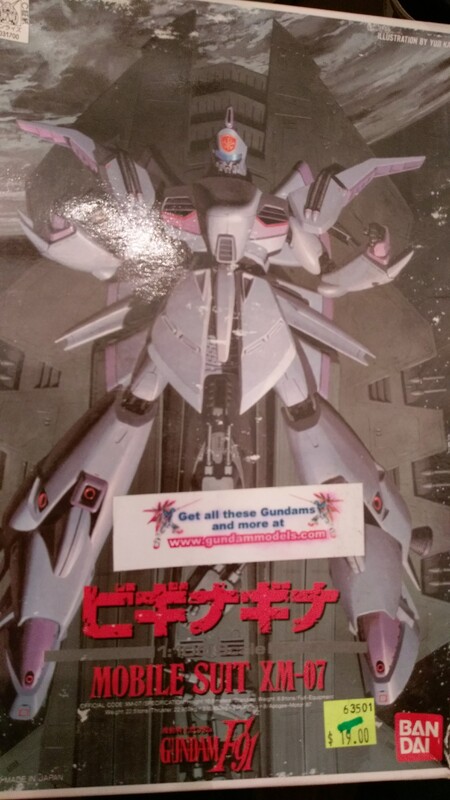 I remember I really wanted it when it came out, and that might potentially be a MG kit ill build one day. Yeah, it's the 2.0 kit. My friend Richard has the first MG version and it has earned its reputation as being a junky kit. The 2.0 is pretty stable and fairly sturdy, overall a good build. But I hear the long beast of a build is a byproduct of it being a transformable kit. The last transformable kit I can remember building was my HGEX 1:60 V2 back about 20 years ago. 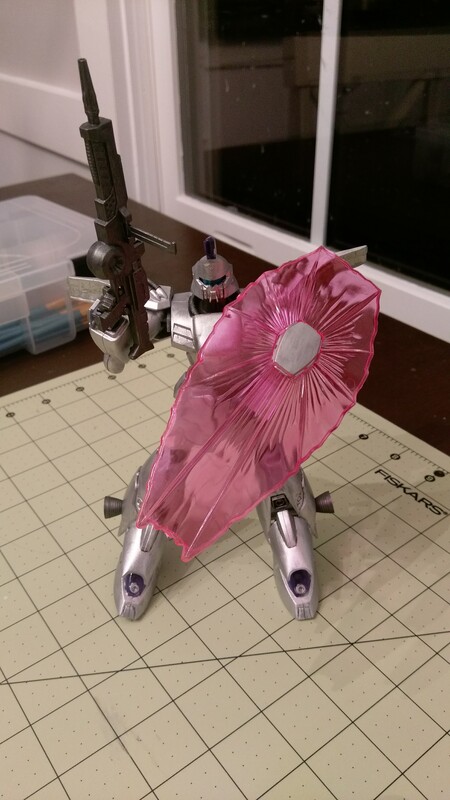 Theres a local toy shop outside of Greenville that got a huge trade of used Gunpla, and one of them was that old MG of the Zeta Gundam. I remember looking at it and thinking "...yea, the 2.0 has gotta be like 5x better than this" and just put the kit back in the box. Someone sold them old PG kits of like the Zaku 2, God Gundam and Freedom Gundam and the store wanted like 40 bucks for the kits. It would be the cheapest way for me to get a PG kit, but id rather build one on my own, whenever that may happen one day. Went and spent part of my Christmas afternoon organizing my figure shelf to make way for a couple of stuff coming in from ebay after the holidays, one being another McFarlane Tenchi figure and the giant Eva popcorn head that you could only buy from Universal Studios Japan a couple of years ago to use that as as the upcoming set piece for my Eva shelf. So far I have most of my McFarlane figures on one shelf. Got my Evangelion Unit 01 Popcorn head in the mail and just did some artsy fartsy photos with it. 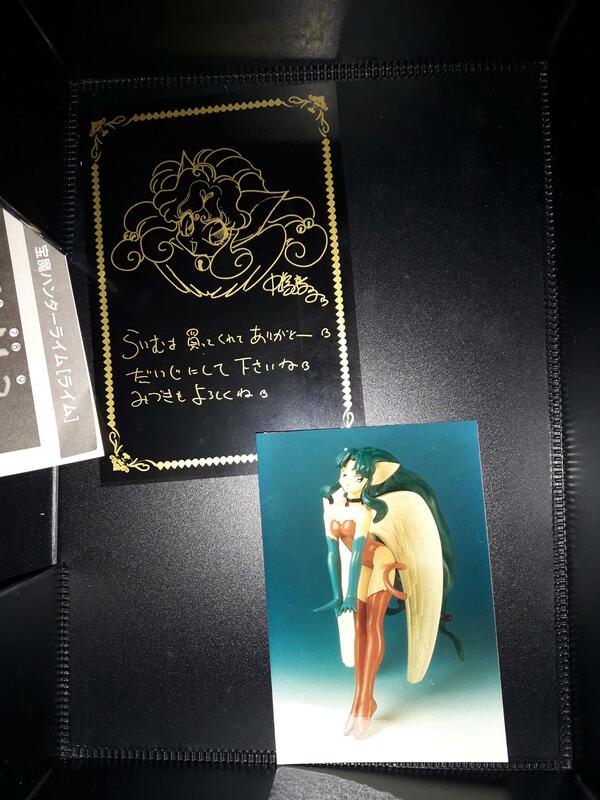 Some time ago I bought this Jewel Hunter Lime garage kit from Mandarake. Very beautiful, but the weird thing is I can't find any info on it. The companies on the box are legit but there's nothing on it on Myfigurecollection. Could it be a bootleg? Nevertheless it's a very nice kit, beautiful Atsuko Nakajima design. I checked scalemates.com, one of the more highly recommended scale modeling sites (just in case) and I didn't see anything other than a Five Start Stories model with the string "XING" in it. 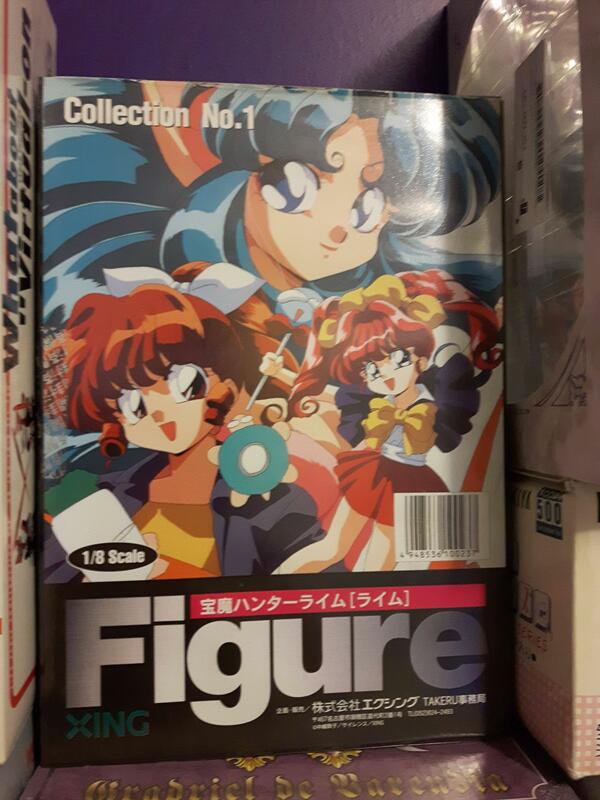 It's possible though that they don't do garage kits; they have a lot of GunPla and some other anime plamo in their database but some of that stuff is hit or miss. 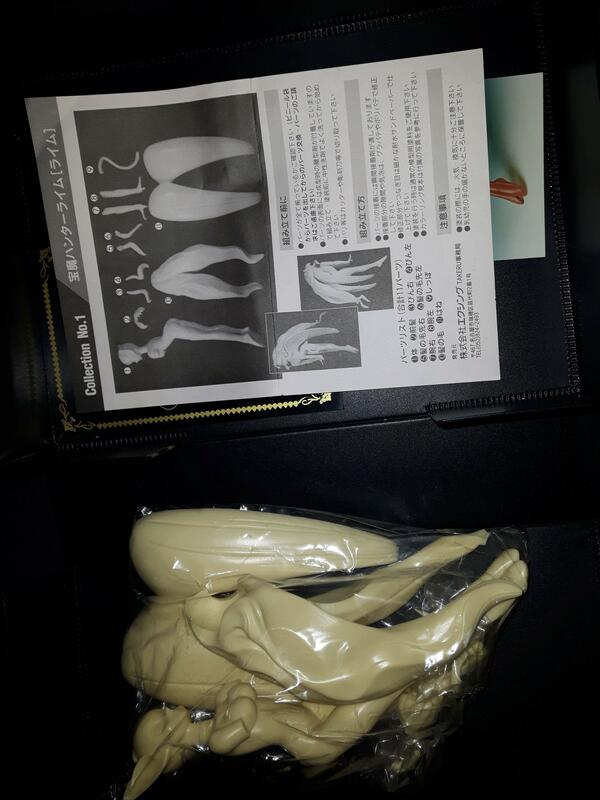 I had to add my 1:100 Vigna Ghina to their database, if I remember correctly.